Tecate, Baja California, Mexico was founded in 1892 and was settled by farmers and ranchers because of the abundant water and fertile soil. Tecate is a border town that does not have the look or feel of a border town, but rather resembles a small village in the central part of Mexico, complete with a tranquil tree-shaded plaza in the center of the city known as Parque Hidalgo. Tecate Mexico sits in a bowl-shaped valley in lower Sierra Juarez; known as the Laguna Mountains on the California side. A railroad was built to connect San Diego and Tecate Mexico during the beginning of the 20th century. Today, you can again see the train rolling, but only as a tourist attraction, it runs occasionally from San Diego to Tecate and back. There is also a museum where older decommissioned trains can be explored. 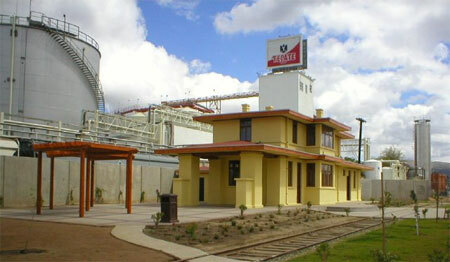 Tecate, Mexico, is a developing industrial border city, that gained international recognition by the sudden popularity of the Tecate Beer, manufactured by Cuauhtemoc Brewery, established in 1943. The Tecate Beer is one of the most popular beers in Mexico and it is the city's claim to fame. Every year, thousands of tourists flock to Tecate to take tours of the brewery. Tecate's other claim to fame is Rancho La Puerta - North Americas first and longest running health spa. Rancho La Puerta gained international fame for its revitalizing treatment, as well as healthy outdoor activities. Tecate's altitude of approx. 1700 feet (550 m) above sea level and its proximity to the ocean afford an agreeable climate. It rains enough in the area for a thick ground cover of shrubs to grow; the change from maritime to desert climates is at a higher altitude a couple hours drive further east. In spite of the many things to do in Tecate, the area receives very few tourists compared to Tijuana and Mexicali.